Our corded tool reviews include corded saws, routers, sanders and grinders, and more. 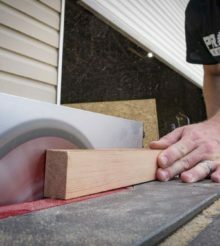 We try to ascertain the best compound miter saws, perform jobsite table saw shootouts, to name a few. When it comes to corded tools, often power is key. Our power tool reviews try to determine whether a new product has advanced features or specs. Once we understand what’s new we can then test the tool to get a feel for it and see if it’s truly an upgrade. When we look at tools like rotary hammers or even oscillating multi-tools, we try to determine which tools have the least vibration while performing the most work. A power tool may be able to provide more power, but at the expense of ergonomics. Other tools add great features, but sacrifice in other areas. We evaluate the whole tool, so that we get the entire picture.